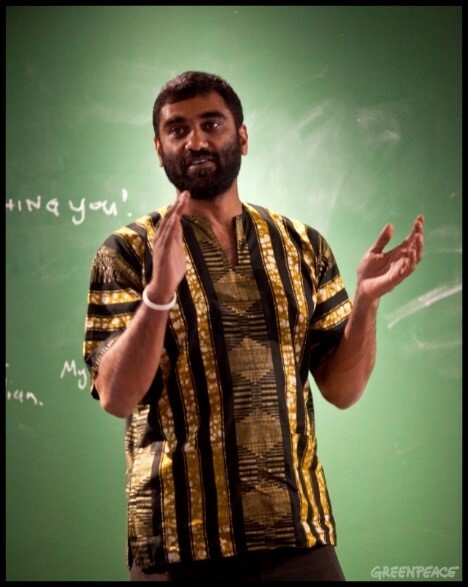 Kumi Naidoo held a talk called “Preparing for the 22nd Century, Environmentally” at the Cornerstone Institute on 6th November. Kumi said that faith communities must come to terms with inconvenient and uncomfortable truth that without the involvement of faith communities, we won’t be able turn around catastrophic climate change. There is a lot of burden on the shoulders of religious leaders. Secondly, there is a lot of wisdom in religious texts. Historically, faith leaders of all faith have failed us up to now, and need to read their scriptures and fulfill their obligations. The future trend is that faith leaders are now speaking out, for example the Pope, and the Dalai Lama. Kumi asked all participants to support SAFCEI and Earthlife Africa Johannesburg’s court challenge against South Africa’s nuclear procurement plan.